So 2017 was not the best year of my life, so the idea of having no bad days in 2018 sounds like a good plan – and to help kick it off I found the No Bad Days Compact Calendar from the fine folks at Ban.Do. 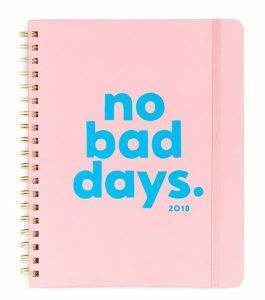 Find the No Bad Days Compact Calendar from Ban.Do here. NEW YEAR’S FIND: The Perpetual Wall Calendar from Schoolhouse Electric & Supply Co.
Why buy a new wall calendar every year when you can have this great Perpetual Wall Calendar designed by TAIT Design Co. and found from the fine folks at Schoolhouse Electric & Supply Co.? 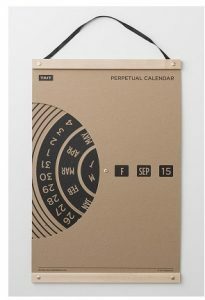 Find the Perpetual Wall Calendar from Schoolhouse Electric & Supply Co. here. 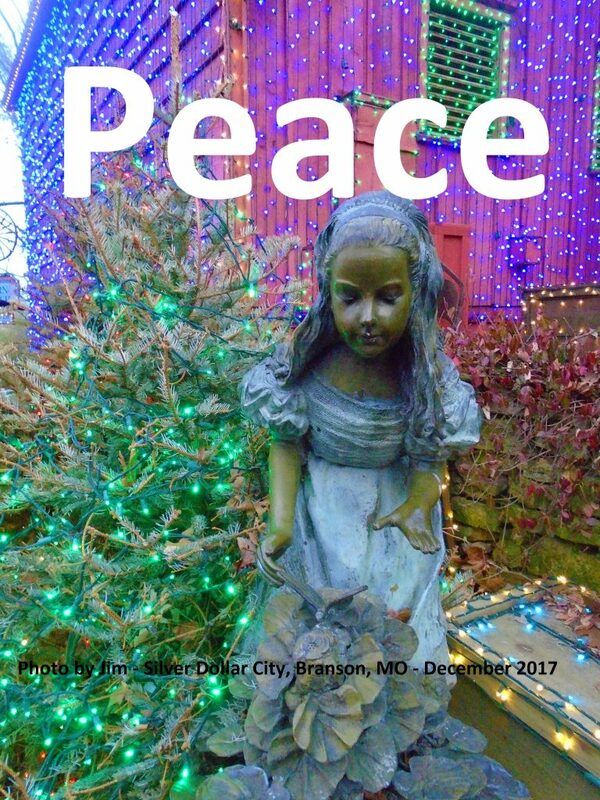 See all the calendars available from Schoolhouse Electric & Supply Co. here. See all the cool items available from Schoolhouse Electric & Supply Co. here. 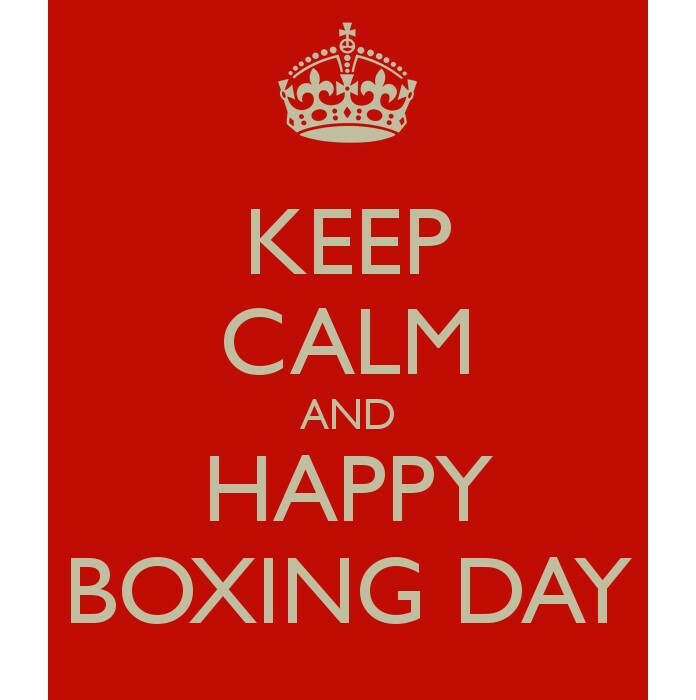 Anglophiles Unite – Happy Boxing Day! 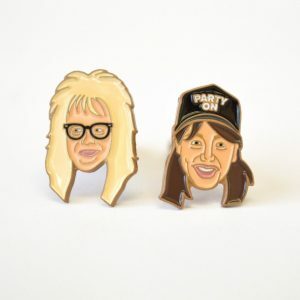 “We created these excellent cufflinks (inspired by Wayne & Garth) that are perfect for party time or even work. 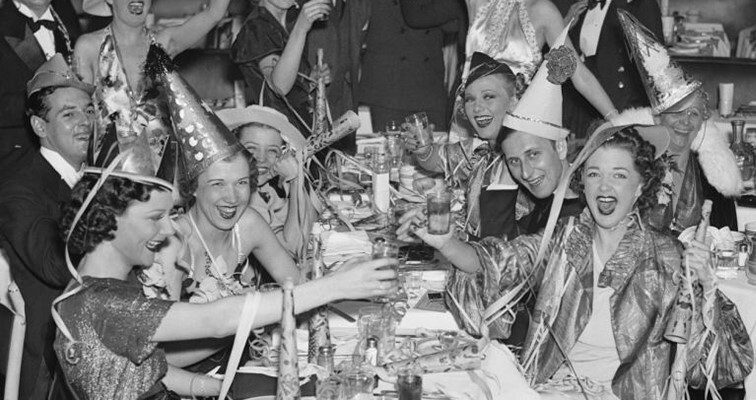 Find the Party On Cufflinks from Fair Goods here. See all the great gift ideas from Fair Goods here. There may not be enough time to order the Wayne & Garth cufflinks to arrive before Christmas, but you can go online right now to purchase me tickets to see the award-winning revival of Hello Dolly on Broadway. Bette Midler continues in the title role through January 14, 2018 – which would be fine, but I would totally love to see the show when the great Bernadette Peters takes over beginning January 20. 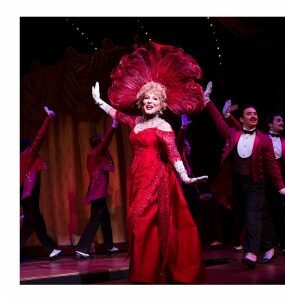 Learn more about Hello Dolly on Broadway here. Find Hello Dolly on Broadway ticket information here. 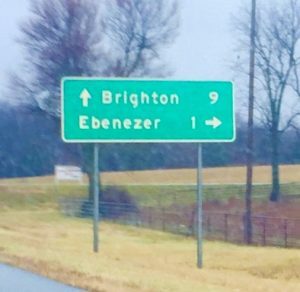 While on my Christmas road trip to Branson, MO last weekend, I spotted a sign for a town call Ebenezer and made a note that I would have to stop by on my way home. Of course I was listening to an audio version of A Christmas Carol at the time and thought it was quite fitting that there was a town named after the great Mr. Scrooge. 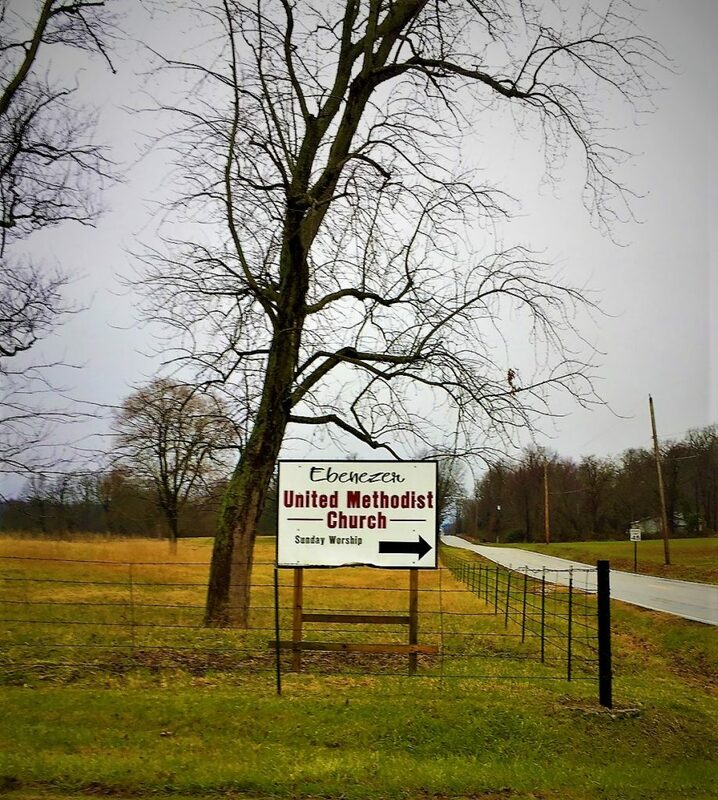 I took a little side road that led past a few cow fields and found the town to consist of a few houses and one church, and that was it. 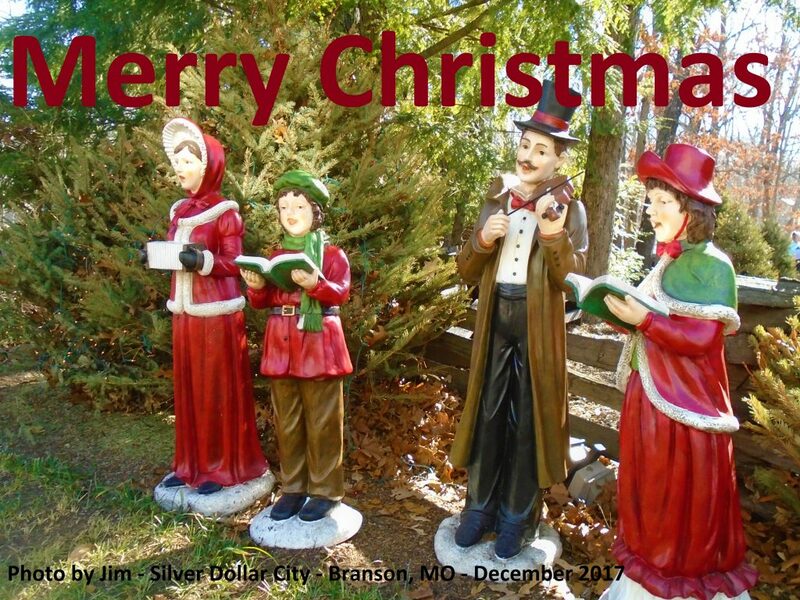 But I got a kick out of visiting the town and paying homage to may all time favorite literary tales – Christmas-themed or otherwise. 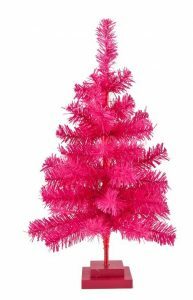 Here is a fun throwback to the kitschy Christmas trees of holidays past – the Mini Hot Pink Christmas Tree I found from the fine folks at Plum and Punch. Find the Mini Hot Pink Christmas Tree from Plum and Punch here. See all the fun items from Plum and Punch here. 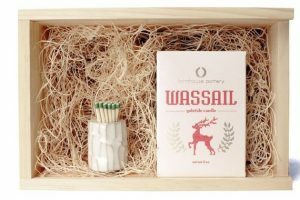 Amongst my friends we have a “no picture frames nor candles” rule when it comes to exchanging gifts – but I think we can make an exception with the White Log Striker and Wassail Gift Set I found from the fine folks at Farmhouse Pottery – because it is just awesome. Find the White Log Striker and Wassail Gift Set from Farmhouse Pottery here. See all the great gift ideas from Farmhouse Pottery here. Lost Cowboy is powered by	WordPress 5.0.4 and delivered to you in 1.950 seconds using 61 queries.